Pakistan's Army Chief General Ashfaq Pervez Kayani has visited the Swat and other Flood effected ares to see the Situation on Ground. Army Chief also taken 17 ill and Old People in his Helicopter From Kalam that where effected by Flood. 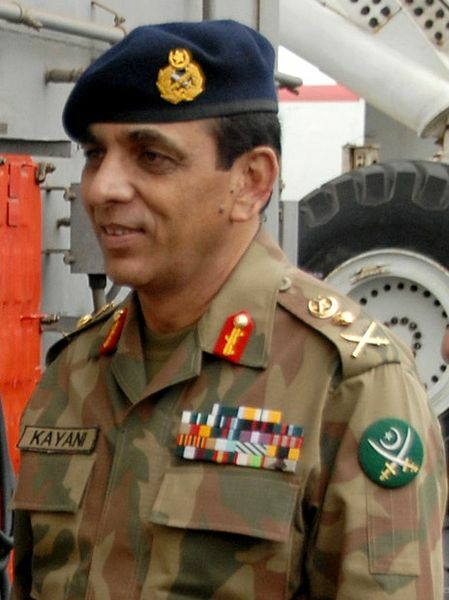 Gen Kayani has told Authorities to do Relief and Rescue works as fast as possible. General Kayani has also talked with Chief Minister Punjab Shahbaz Sharif on Telephone to discuss about the Possible Floods that can come in Punjab. More than 30000 Pakistan Army Soldiers are taking part in Rescue and Relief works and they are also using Several Helicopters and Boats. Pakistan army has shifted more than 28000 People to Safe Places from Flood effected areas.